The Handiwork Behind The Glory of Padmaavat - Bold Outline : India's leading Online Lifestyle, Fashion & Travel Magazine. The mired-in-controversy-film Padmaavat managed to create ripples after its release for its aesthetics and production value. And, while Sanjay Leela Bhansali walked away with majority of the praise, it also did a whole lot of good for the artistically inclined trio—Vipul Amar – an entrepreneur; Harsheen Arora – a psychologist; and Gireesh Nair – a financial advisor. They are the brains behind The V Renaissance (TVR), a unique brand that creates bespoke products which embody one’s personality, needs and desires; which they achieve using psychological interview as a medium. Be it interiors, furniture, apparel, wedding ensemble, trousseau, luggage, bags or costumes, their creativity extends to all these and more. 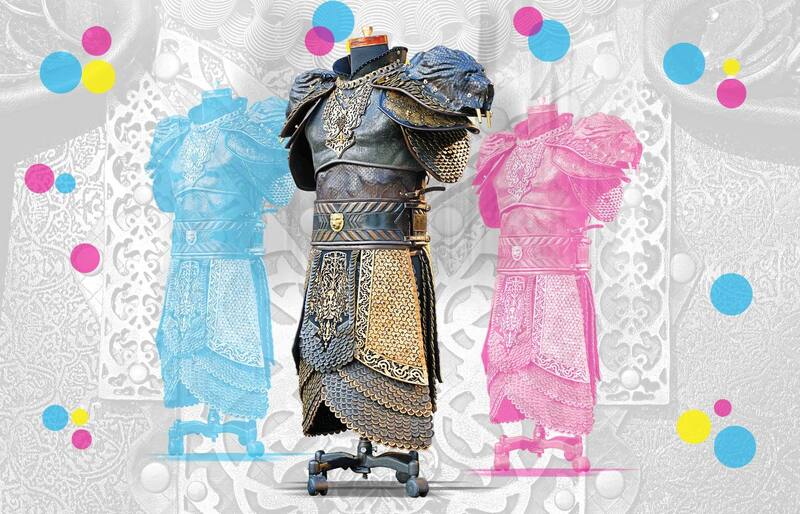 And, when they designed the armour for Shahid Kapoor and Ranveer Singh’s characters in Padmaavat, they managed to capture everyone’s imagination! By their own admission, these armours were a result of back-breaking research, not only in terms of authenticity, but also their functionality. The designer duo Vipul Amar and Harsheen Arora consulted an engineer to confirm the mechanics incorporated in the armours. “Authenticity and mobility of the armours were our prime concerns as it was imperative that the actor would be able to perform stunts in them. Hence, we carried out thorough research on the armouries and weaponries of the era around which the film revolved. 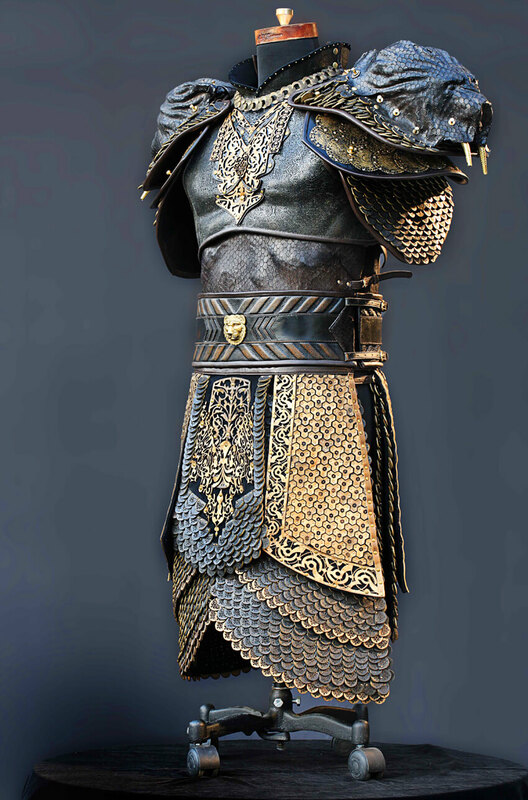 We employed actual historical techniques to create the armours such as the cuirboilli technique, sculpting, chiselling, inlaying and others, while making sure they aligned with today’s standards of comfort and weightlessness,” they say proudly about their efforts that stand vindicated today. The innovative entrepreneurs had earlier created a look for Sushant Singh Rajput in the film Raabta where they worked with Maxima Basu. She was the one who introduced their work to Bhansali, and the rest, as they say, is history. His team first approached them to create one look for Ranveer Singh’s earlier battles in the film. 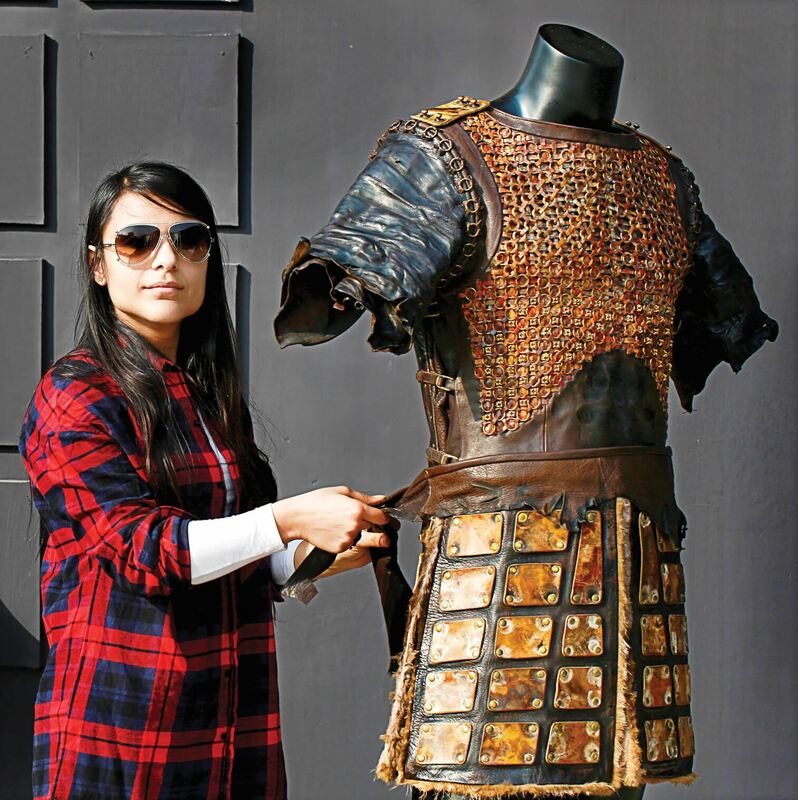 “During this time, we had just finished work on a bridal lehenga in leather, they liked the technique we had employed in that piece, so they asked us to create the armour for Shahid Kapoor’s final battle. After Mr Bhansali saw these armours, he asked us to create one for Khilji’s final battle as well. Mr Bhansali is known for his spectacular vision and attention to detail. Our philosophies matched, and working with him was a dream,” aver Amar and Arora. Art is the designers’ forte, and they started with photographic artwork on canvas, wallpaper and silk couture. Their bespoke art includes a personalised photo-shoot with the team where Harsheen’s psychological skills are employed to bring out the real self of the protagonist by understanding their core personality and translating it into a piece of art. “The same idea of bespoke now extends to our leather merchandise, which includes leather jackets, furniture, bags and luggage, helmets, desk tools, and lingerie,” they say, explaining their work. They further add that the concept of TVR has always been a ground for “most things luxury and all things soulful.” Applying psychology to create masterpieces is a rather unheard-of approach. But, they believe that psychology extends to all aspects of being human and so is a premise for TVR. Leather is their mainstay. Their products are all handcrafted using the best available leathers from across the globe. Apart from this, they create exclusive finishes and textures on leather using age old traditions of tanning and printing. Why leather, we quiz. Well, because leather as a medium, they simply say, has existed since the beginning of civilisation. In fact, in the past years, TVR has even specialised in technology for creating the vintage leather. “It has so much life and potential to be crafted and moulded. 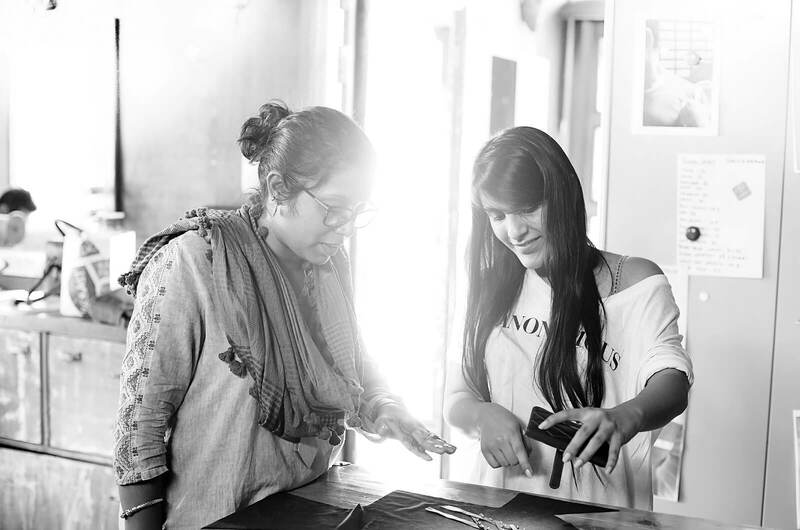 We started working with leather as Vipul had always been fascinated with it and preferred it for his personal use. Once we started working with it, we never wanted to stop. 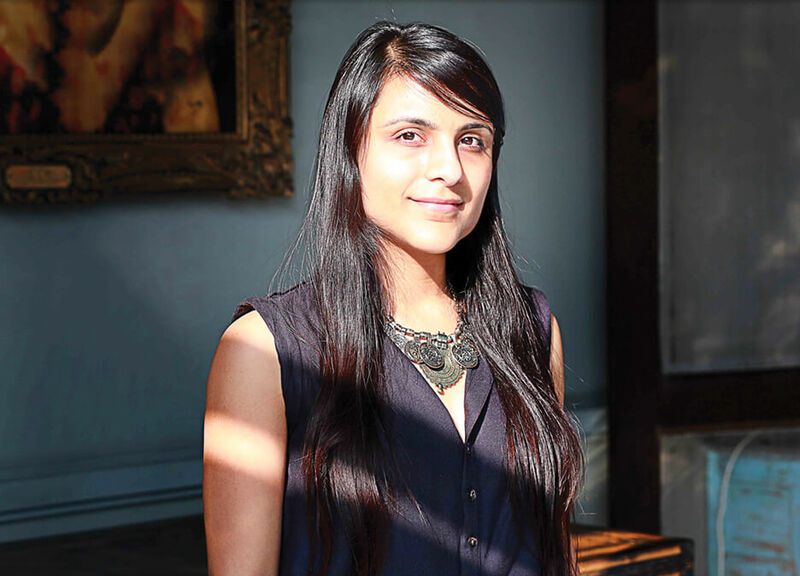 Till date, we learn something new about leather and it never ceases to amaze us,” says Arora. The TVR clientele includes HNIs (High Net Worth Individuals), who are looking for something more than what is available off the shelf. “Our clients are looking to own something distinct and luxurious and something that depicts their persona. Whether it is designing a new home, a new personal look or a new experience, we bring warmth, a personal touch, and that special niche where our clients can connect with their inner selves,” says the TVR team. Amar and Arora proudly say that every day is a new challenge for creating something which brings an absolute sense of distinction. 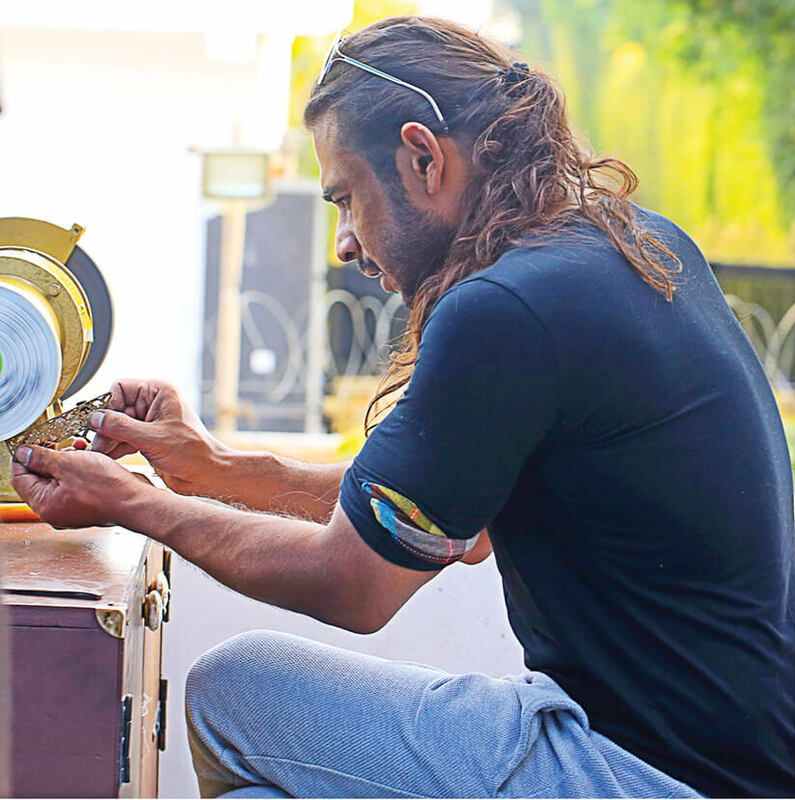 They are currently engaged in launching a range of ready-to-buy products like apparels, travel luggage, furniture made of leather, linen and khadi which can be sold off the shelf. As they make major strides, the trio works in tandem, and each one does his best to achieve their collective dream. Their priority, they say, is to create. “Before being business partners, we are friends,” they conclude, as they strive to move on to realising bigger dreams.